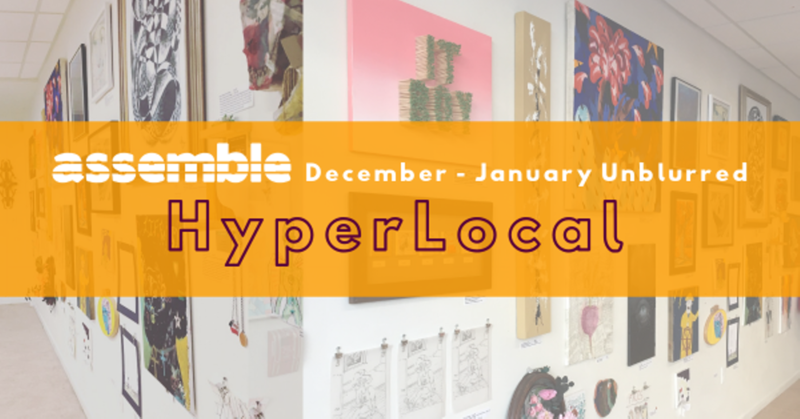 HyperLocal is Assemble’s annual showcase of local artists and makers. From December 2018 to January 2019, we celebrate local artists and makers in the Bloomfield, Garfield, Friendship, and East Liberty neighborhoods. Join us for our opening nights on December 7 from 6-10pm and January 4 from 6-10pm to see the work of local makers and artists of all ages!